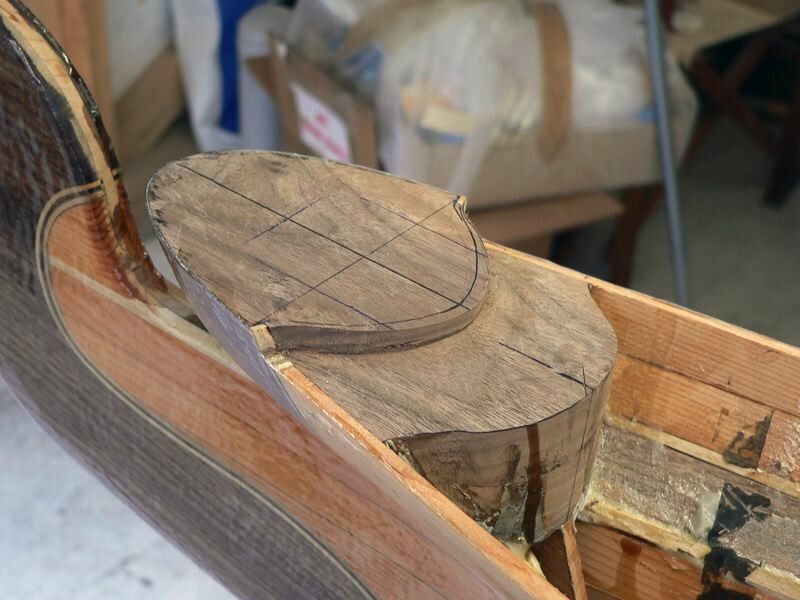 044 The upper bow piece rebated to receive the deck planking. The shape is purely cosmetic. Any shape would do on top, the deck planks could even run right off the end.